Enjoy your vacation with us in Engadine! The Palazzo Mÿsanus is located in the center of the older part of the village of Samedan. The manor house built in the 17th century, was extensively and totally renovated during 2001-2003 and places itself since completion among the Hotel Garni with 40 beds. If only walls could speak!During the restoration, much attention has been given to the preserve the old buildings and to retain its historic character. Today you have the choice between rooms with in a modern design or historic rooms with its wood finishes, family suites, and residential units for up to four people, spacious superior rooms and comfort rooms. In the family hospitality of the good spirits from Palazzo Mÿsanus, we are confident that you will definitely at ease in this former manor house. A breakfast buffet with seasonal and regional specialties will surely start your day pleasantly. Regular art-exhibitions and sometimes concerts do take place in our groined vault (also known as double barrel or cross vault) cellar. For relaxation of body, mind and soul, we encourage you to visit the mineral baths & SPA Samedan in the immediate vicinity of the hotel, with reduced prices for our guests. For guests over two nights, admission is even free! we have a wide selection of guest rooms with very modern design and elegant furnishings and cosiness, lovingly renovated pinewood rooms which are guaranteed to make the heart of the nostalgic beat faster. shower/WC or bath/WC, sat TV & radio. 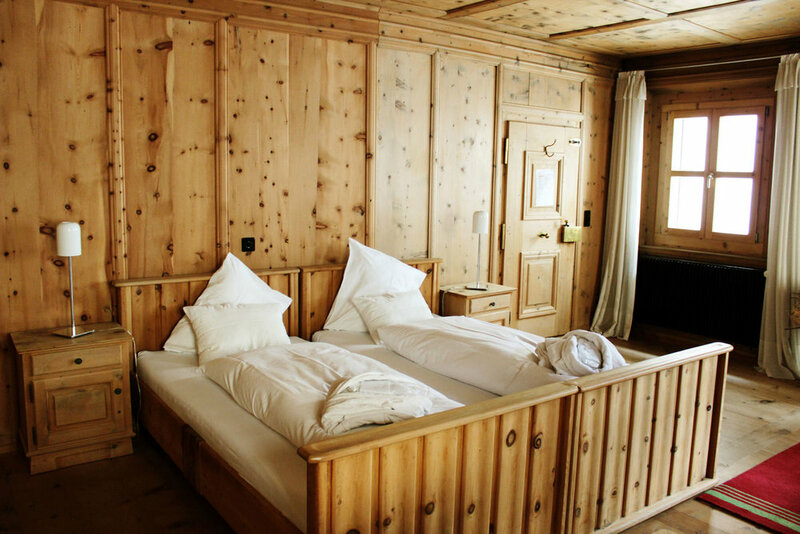 The original pinewood rooms are small but extremely cosy – just as you would expect in the mountains. Find peace in your soul in the Suler* reading a book from our own in-house library, an incomparable ambience has been created here with great care and a love for detail. Various kinds of fine wood and exclusive materials blend to form a harmonious whole which can be best described as rustic elegance keeping in tune to a relaxing holiday *Suler, rooms with arched ceilings a typical attribute of Engadiner houses. of our top modern rooms, a tasteful and high class interior design created to be lived in and enjoyed nestled in the grand old walls of the Palazzo Mÿsanus. All rooms are "Non smoking" rooms! The largest winter sports region in Switzerland enchants as a landscape and a myth. For 150 years, this is where the high society, and the events of winter attract thousands to White Turf, Polo and bob run. But not only monarchs and Co enjoy here the snow and the sun! Guests from all over the world, from Asia and America, from across Europe, families with children, seniors UDN teenagers, they all come to experience the incomparable winter landscape. And possibilities it has truly enough. The Upper Engadin is a true snow sports paradise. In the four large, versatile ski Marguns / Corviglia / Piz Nair, Corvatsch, Diavolezza and Zuoz and five other small but special areas, winter sports enthusiasts 350 km of dreamlike slopes. Thanks to the altitude and the modern snowmaking equipment Engadin St. Moritz is regarded as snow-sure. Snowboard freaks and freeriders come on Corvatsch at their expense. 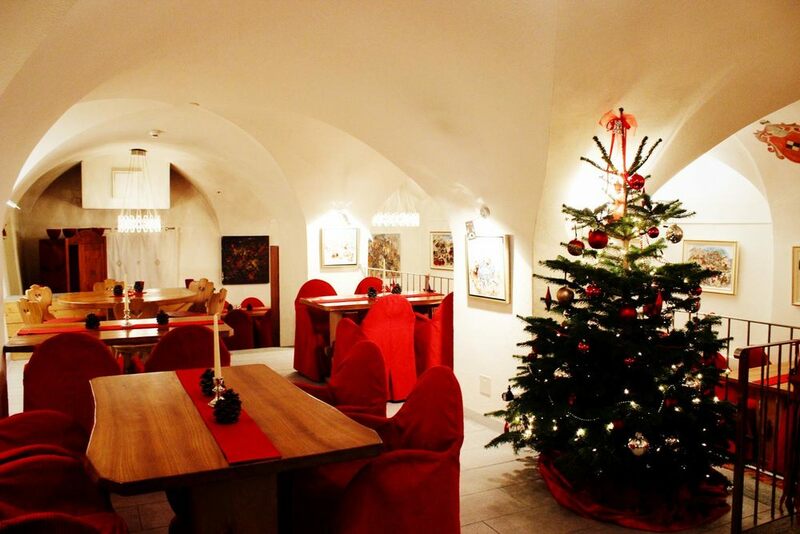 34 mountain restaurants provide sustenance of holidaymakers and culinary diversity. the beautiful and versatile Engadine landscape. on which you are cordially invited to participate. that invite you to tobogganing transform. Besides shorter descents and comfortable routes to the carriage there are in the region Engadin St. Moritz Tobogganing on Muottas Muragl official, in Sils, Bever, Madulain, Zouz or the Albula Pass or Preda Bergün. of walking and hiking trails and enjoy the unique scenery. We are happy to give you tips for beautiful routes through a winter wonderland. hockey, curling and ice skating. The places for ice skating are available for free. The curling and hockey pitches can be hired. For many years, the only natural ice bobsleigh run in Europe offers guests the chance to roar under expert guidance through the ice channel. And who needs more thrills can plunge headlong into the Cresta Run. More and more people are looking to ski or ice climbing is a way to escape from everyday life. The mountaineering schools in the Upper Engadin offer guided tours of all difficulties, to enjoy the experience carefree can. And the SAC huts around the valley provide sustenance. Connoisseurs know it for a long time - to explore the Engadine in the summer, with its unique valley, is almost something like a “smaller” trip around the world - the only thing it does not offer, is the sea. For that, you are royally rewarded with fragrant stone pine forests, rushing streams, a unique Lakelands and unrestricted sports. Whether you test your skills at one of the climbing routes, go game watching in the National Park or simply want to enjoy a walk along the Inn, for everyone it is pure nature, healthy air and unlimited possibilities. Many of the trails are ideal for families with small children and guests in a wheelchair. Well-marked mountain bike trails await beginners and the ones that just want to enjoy. The Engadine invites Cracks to test the steepest tracks and to rediscover them into the farthest corners. built the world-famous mecca for motorcyclists. From spring into late fall, you have the opportunity to admire the imposing panorama of the mountains on a ride through the countless passes. The Julier, Ofen, Umbrail, Stelvio, Gavia, Bernina, Maloja, Flüela and the highlight of the Albula Pass invite you to "collect passes". many small amenities in our house. your visit in Samedan, Sils, Zuoz, Alvaneu and Vulpera. Samedan has the highest airport in Europe. It is the starting point for unforgettable gliding experiences and if you do not fly yourself, you may join a guided tour to experience the exciting life of an airfield. on the surfboard, kiteboard or sailboat. Deep blue and crystal clear mountain lakes invite you to sojourn and swim in them. 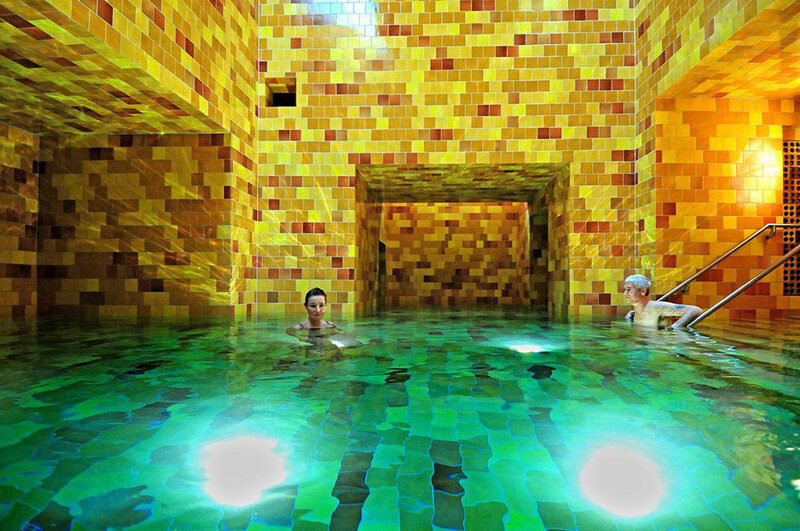 If you find the temperature of the lakes too cold, we may recommend a visit to the new mineral baths & SPA in Samedan. And why not try a complete other watersport: Fishing! There are numerous hidden lakes between mountains and among dizzying peaks. Have you ever tried? Instead of going up and down along the river, get up before sunrise, take the steep path in still half-darkness and walk up to one of these lakes to contemplate a splendid sunrise within the mountains and to catch a 100% organic trout? We look forward to welcome you at the Palazzo Mysanus next summer.